I'll always have a soft spot for the 3" Newtonian telescope that I received when I was 10. A couple of years later I moved to northern Arizona near Lowell Observatory where I fell in love with the spectacular skies. 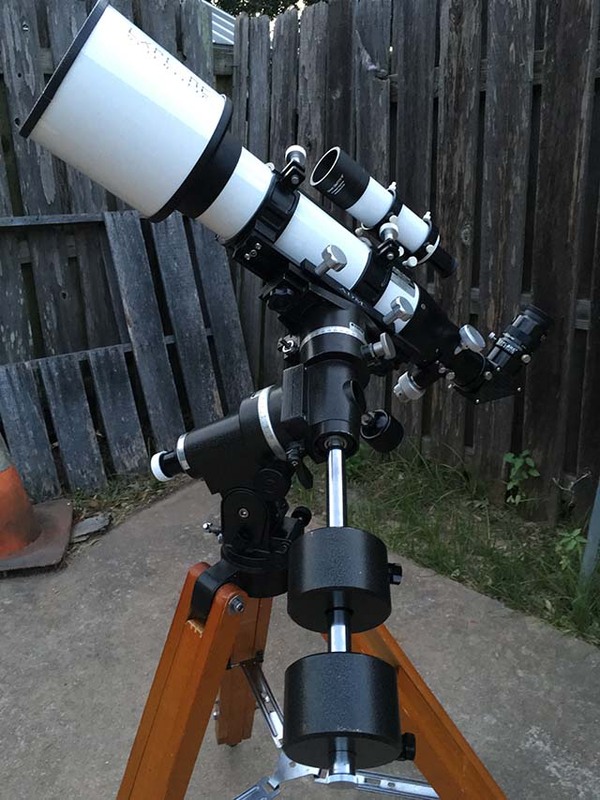 I mostly use the 8" Dobsonian Orion XT-8 from home. 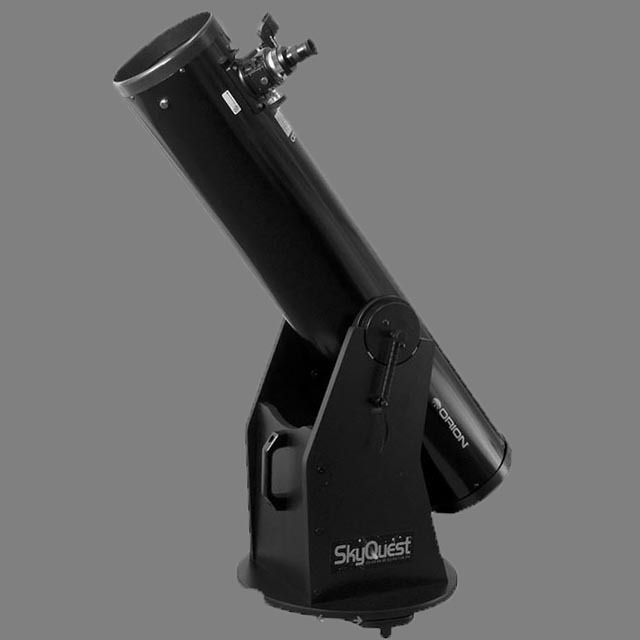 it is a great visual telescope, easy to use, but bulky to move much. The 200mm objective gives a brighter view of deep sky objects than my other telescopes. I like to use it for visual observation while the Questar is busy with astrophotography. This short tube doublet refractor gives me a wide bright field of view. With almost twice the field of view of the Orion or Questar it is perfect for large star clusters. I've mounted it on a Vixen Super Polaris mount. The scope that I use the most is my smallest. 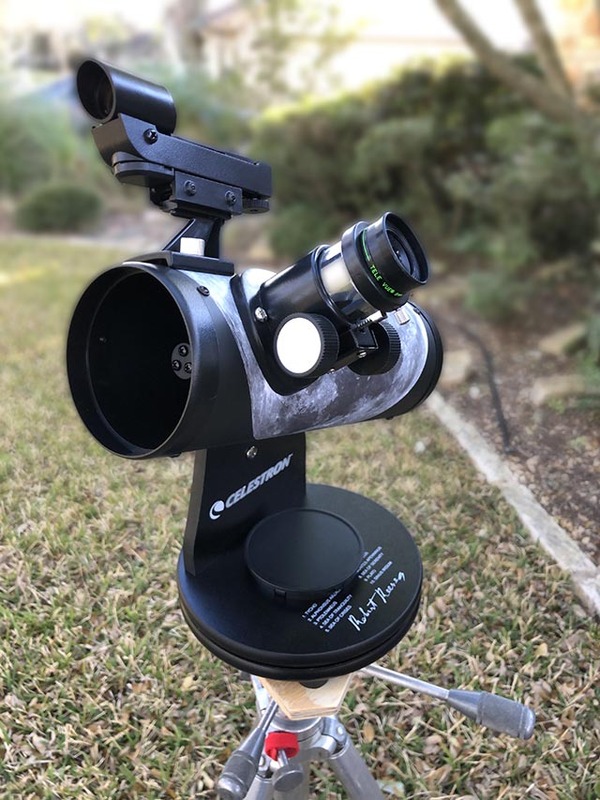 I use it for both visual observing and astrophotography. 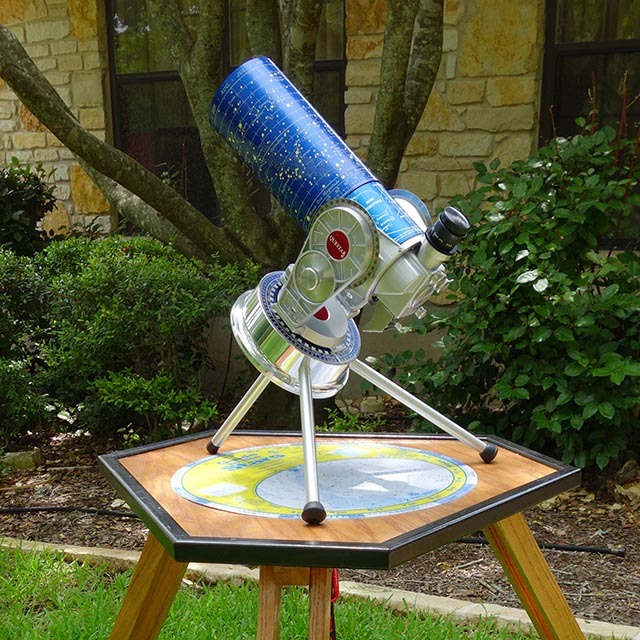 A 2013 Questar 3.5" standard, with broadband coatings and Zerodur primary (the same as used in the Hobby-Eberly Telescope). The telescope, eyepieces, camera, mount, and a small tripod fit into a carry on case and weigh about ten pounds. I normally use it with a heavy duty camera tripod and a wedge that I built myself. Setting up and aligning the scope for astrophotography takes about ten minutes. The Questar is shown with its included table top mount below. 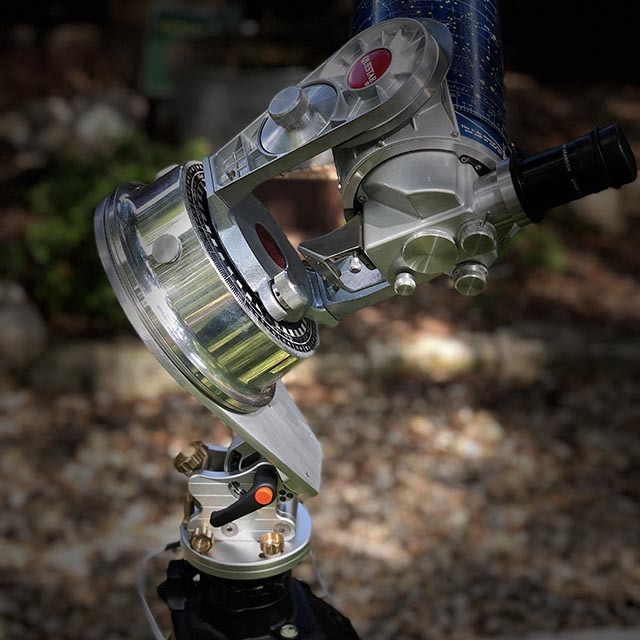 I mostly use the Questar with an Astrotrak wedge and home made adapter plate as shown below. The Questar is a treat. It has no "go to" drive or modern electronics, but its setting circles are large enough that it works nicely in "push to" mode. The control box at the back with built in finder, Barlow lens, and a dedicated axial port for a camera make it a pleasure to use in the dark. Its high quality optics, guaranteed to be 1/8 wave end to end, are a great match for modern digital image processing algorithms. Finally there's the fan-boy thrill of using a version of the 1st telescope sent into space (Gemini 4) and one owned by Wernher Von Braun and Arthur C. Clark. I built an adapter that lets me use this FirstScope on a tripod in Alt-Az or Equatorial orientations. 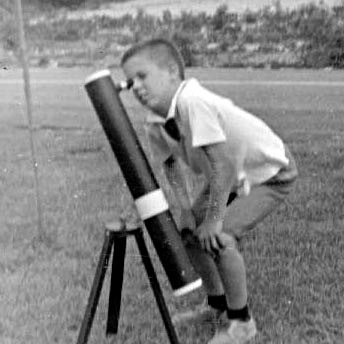 It's a great little scope for young visitors and sidewalk astronomy.